The XB2779QQS matrix is made up of a stunning 7 times more pixels than in the case of a Full HD monitor. 5120 x 2880 resolution means users can easily create their own workspace by displaying and manipulating multiple applications at the same time. With the picture-in-picture or picture-by-picture functionalities enabled, it is also possible to display content coming from two different input sources. Providing high brightness and static contrast IPS panel assures perfect colour reproduction and wide viewing angles. The screen is simply ideal for graphic and web design. The XB2779QQS features a modern yet classy edge-to-edge look that will add a touch of style to any interior type. The height adjustable stand with swivel and tilt options ensures the screen position can be easily adjusted for work place ergonomics. The monitor comes equipped with three HDMI and two DisplayPort connectors. And finally, the flicker free panel with blue light reduction function reduces digital eye strain and fatigue for a more comfortable viewing experience. Based in Japan, iiyama is a leading international display solutions manufacturer enabling individuals and organizations to see and interact with the world around them since 1973. iiyama desktop monitors accompany people at work and at home. 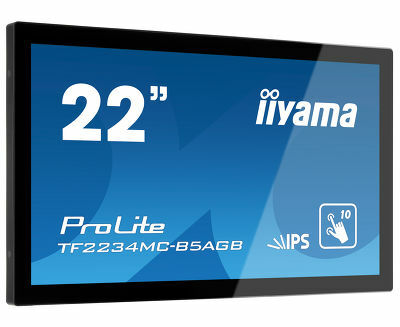 iiyama Large Format Displays and touchscreen solutions help businesses get their message across to their partners and clients. And the iiyama G-Master #monitors4gamers help gamers unlock their full gaming potential.